Out of Place Artifact (OOPArts) is a term coined by American zoologist and Cryptozoologist Ivan T. Sanderson for an object of historical, archaeological or paleontological interest found in a very unusual or seemingly impossible context. 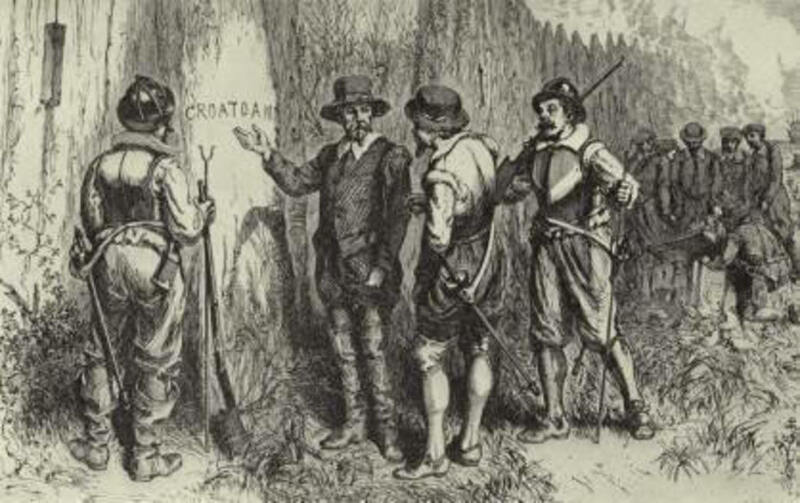 The term "out-of-place artifact" is rarely used by mainstream historians or scientists; rather, its use is largely confined to cryptozoologists, proponents of ancient astronaut theories, and paranormal enthusiasts. Critics argue that most purported OOPArts which are not hoaxes are the result of mistaken interpretation, wishful thinking, or a mistaken belief that a particular culture couldn't have created an artifact or technology due to a lack of knowledge or materials. On the Contrary, supporters regard OOPArts as evidence that mainstream science is overlooking huge areas of knowledge, either willfully or through ignorance. The objective of this article is to present a brief history, alleged claims and critics of these claims to give the reader a better understanding of the so called ‘Out of Place’ objects. However, the content of this subject is so huge that it wont be possible to talk about many relevant aspects i.e. Ancient Astronaut Theory, Famous UFO encounters etc. The Antikythera mechanism is one of the world's oldest known geared devices & unlike other debatable antiques, most scholars & experts conform in its authenticity and ingenuity. It has puzzled and intrigued historians of science and technology since its discovery. Assumed to be originated around 100 B.C.E this perplexing artifact composed of many gears and wheels which were recovered by sponge-divers from a shipwreck in 1900 off the coast of Antikythera, a small island that lies northwest of Crete. An X-Ray of the mechanism revealed that the object is containing a sophisticated system of differential gears inside. Gearing of this complexity was not known to exist until 1575! The device is remarkable for the level of miniaturization and for the complexity of its parts, which is comparable to that of 18th century clocks. It has over 30 gears, although Michael Wright (an expert in this field) has suggested as many as 72 gears, with teeth formed through equilateral triangles. When a date was entered via a crank (now lost), the mechanism calculated the position of the Sun, Moon, or other astronomical information such as the location of other planets. It is still unknown who constructed this amazing instrument 2,000 years ago or how the technology was lost. 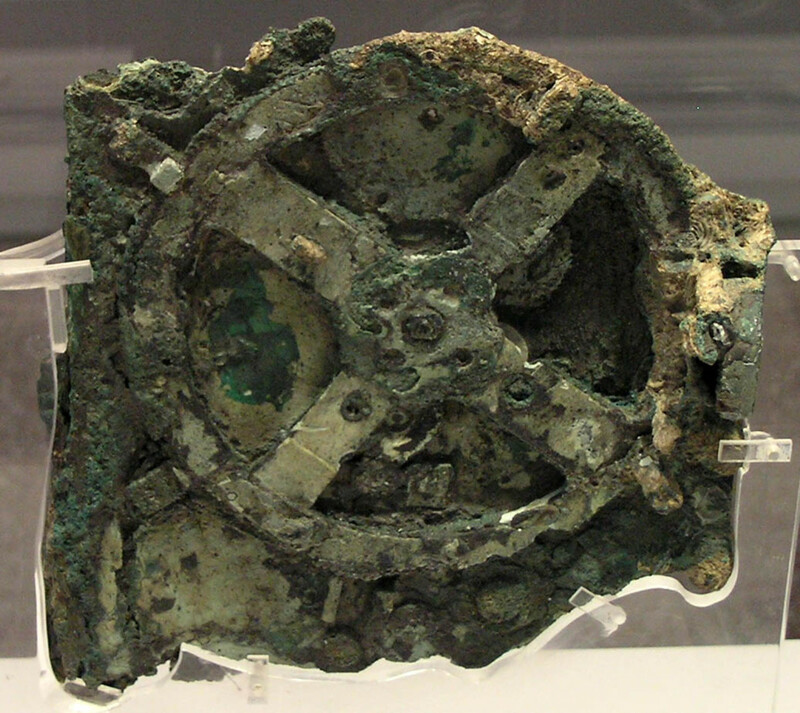 Later studies revealed that the Antikythera mechanism is an ancient mechanical calculator (also described as the first known mechanical computer) designed to calculate astronomical positions. Professor Michael Edmunds of CardiffUniversity who led the most recent study of the mechanism said: "This device is just extraordinary, the only thing of its kind. The design is beautiful, the astronomy is exactly right. The way the mechanics are designed just makes your jaw drop. Whoever has done this has done it extremely carefully...in terms of historic and scarcity value, I have to regard this mechanism as being more valuable than the Mona Lisa." The mechanism is the oldest known complex scientific calculator . 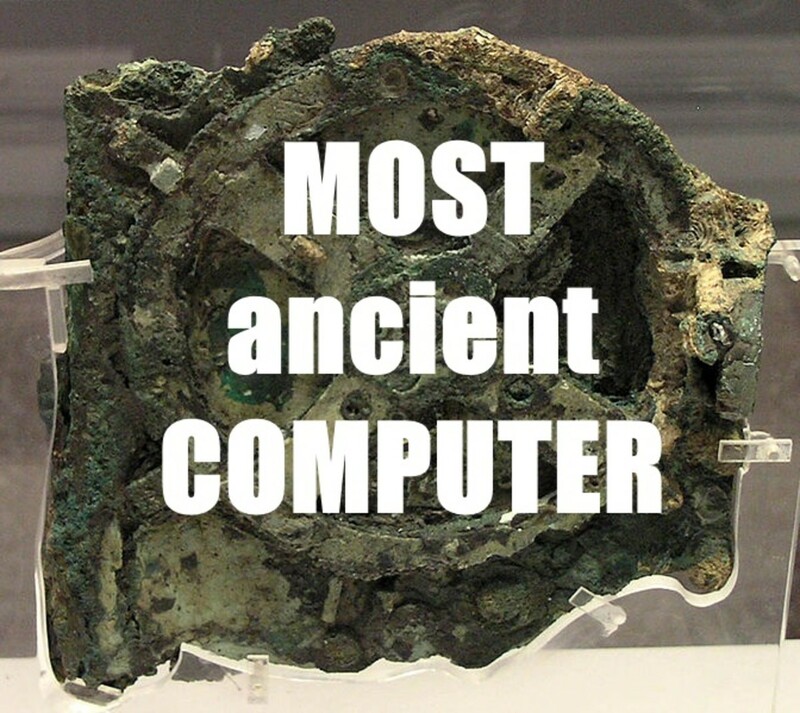 It contains many gears, and is sometimes called the first known analog computer , although its flawless manufacturing suggests that it may have had a number of predecessors during the Hellenistic Period which have not yet been discovered . It appears to be constructed upon theories of astronomy and mathematics developed by Greek astronomers and it is estimated that it was made around 150-100 BC. One hypothesis is that the device was constructed at an academy founded by the ancient Stoic philosopher Posidonius on the Greek island of Rhodes, which at the time was known as a centre of astronomy and mechanical engineering, and that perhaps the astronomer Hipparchus was the engineer who designed it since it contains a lunar mechanism which uses Hipparchus's theory for the motion of the Moon. 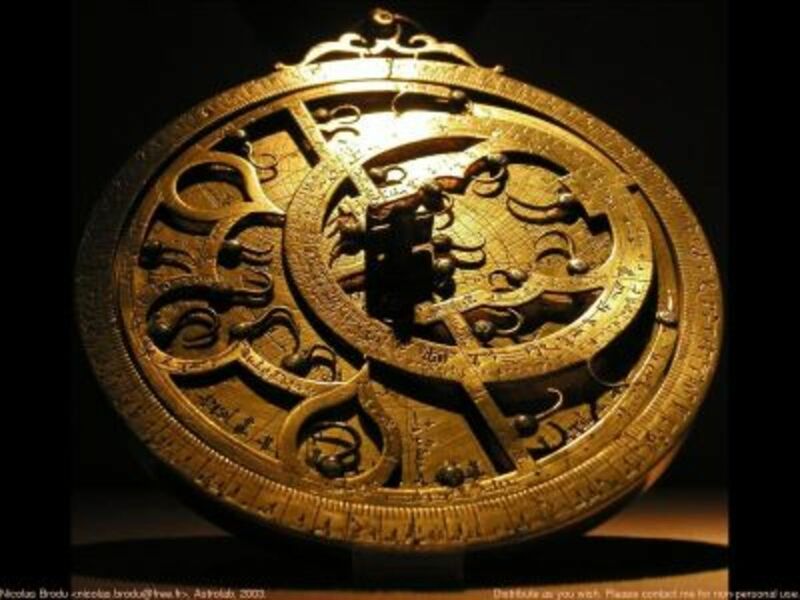 However, the most recent findings of The Antikythera Mechanism Research Project, as published in the July 30, 2008, edition of Nature also suggest that the concept for the mechanism originated in the colonies of Corinth, which might imply a connection with Archimedes. Consensus among scholars is that the mechanism itself was made in the Greek speaking world. All the instructions of the mechanism are written in Greek. The Antikythera mechanism is now being studied by the Antikythera Mechanism Research Project. The Antikythera Mechanism Research Project, with experts from Britain, Greece and the United States, detected in July 2008 the word "Olympia" on a bronze dial thought to display the 76 year Callippic cycle, as well as the names of other games in ancient Greece, and probably used to track dates of the ancient Olympic Games. Unlike other out of place objects, Antikythera mechanism did not lead to any popular controversial theories so far. There is no alleged ancient UFO connection with this object & no supposed relation of highly advanced unknown civilization that is connected to the creation of this artifact. Rather, collected evidence suggests that it is a Pure Greek invention! And also proves the skeptic claim that our ancestors were not brainless pathetic savages who were unable to achieve great things. 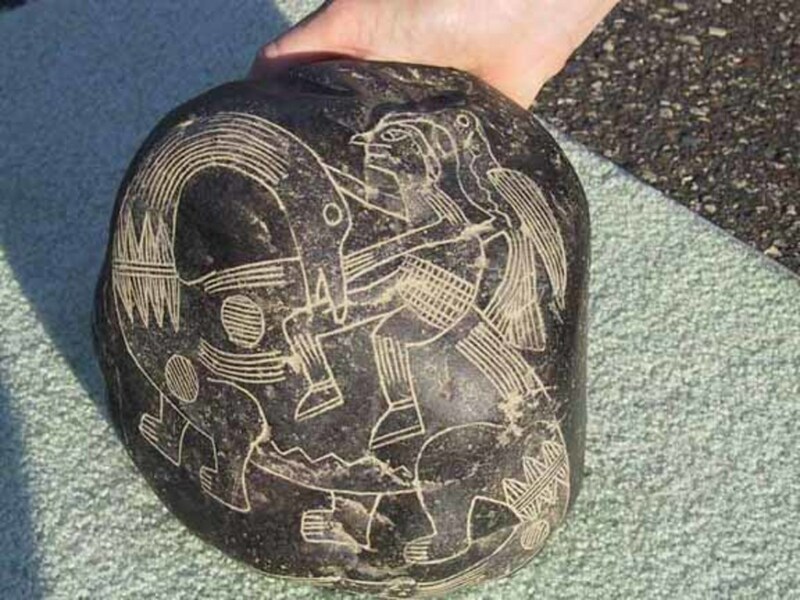 The Ica stones are a collection of andesite stones that contain what are alleged to be ancient depictions of dinosaurs and advanced technology. Beginning in the 1930s, the father of Dr. Javier Cabrera, Cultural Anthropologist for Ica, Peru, discovered many hundreds of ceremonial burial stones in the tombs of the ancient Incas. 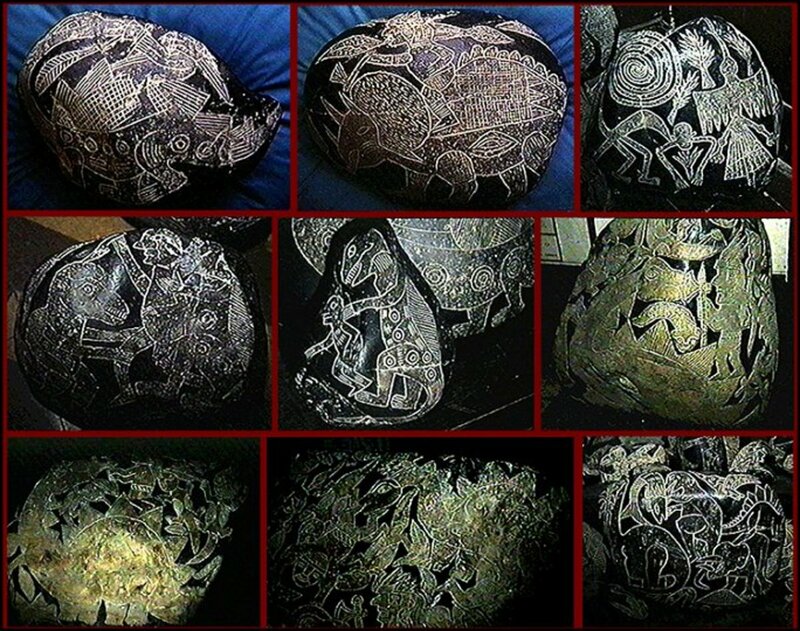 Dr. Cabrera collected more than 1,100 of these andesite stones, which are estimated to be between 500 and 1,500 years old and have become known collectively as the Ica Stones. The stones bear etchings, many of which are sexually graphic (which was common to the culture), some picture idols and others depict such practices as open-heart surgery and brain transplants. The most astonishing etchings, however, clearly represent dinosaurs - brontosaurs, triceratops (see photo), stegosaurus and pterosaurs. While skeptics consider the Ica Stones a hoax. The stones are reported to have been found in caves and stream beds. Because they are rocks and contain no organic material, Carbon-14 dating cannot be used. 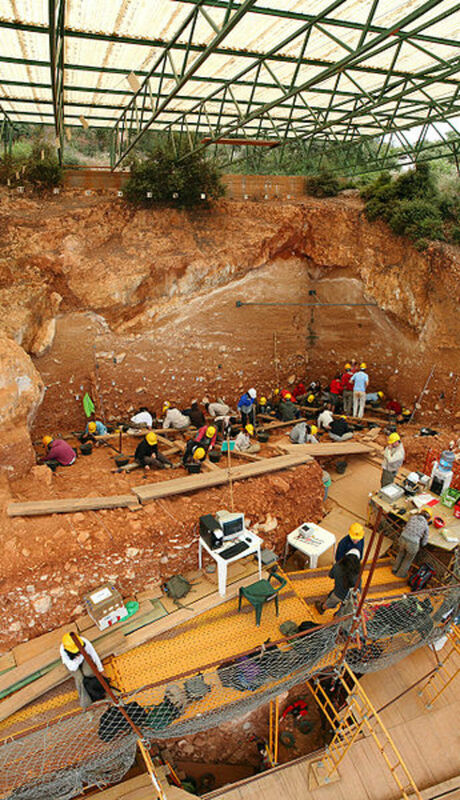 No other method of radiometric dating has been applied to the stones. Furthermore, even a confirmation of the rocks' age would not prove that the engravings upon them had not been produced at a later date. Cabrera attempted to resolve the many scenes into a narrative, and from there to decipher a history of the civilization he believed made the stones. He believed that the ancient technology belonged to what he called Gliptolithic Man, an extraterrestrial race which supposedly arrived sufficiently long ago to coexist with the dinosaurs and then genetically engineered modern man. Cabrera believes that some time afterward, they left to another planet, utilizing the nearby Nazca lines as a spaceport, before some unspecified catastrophe occurred. In 1973 Basilio Uschuya confirmed that he had forged the stones during an interview with Erich von Däniken, but later recanted that claim during an interview with a German journalist, saying that he had claimed they were a hoax to avoid imprisonment for selling artifacts. In 1977, during the BBC documentary Pathway to the Gods, Uschuya produced a "genuine" Ica stone with a dentist's drill and claimed to have produced the patina by baking the stone in cow dung. He continued to make and sell stones. In 1996, another BBC documentary was released with a skeptical analysis of the stones and the newfound attention to the phenomenon prompted the authorities of Peru to arrest Basilio Uschuya, as under Peruvian law: it is illegal to sell archaeological discoveries. 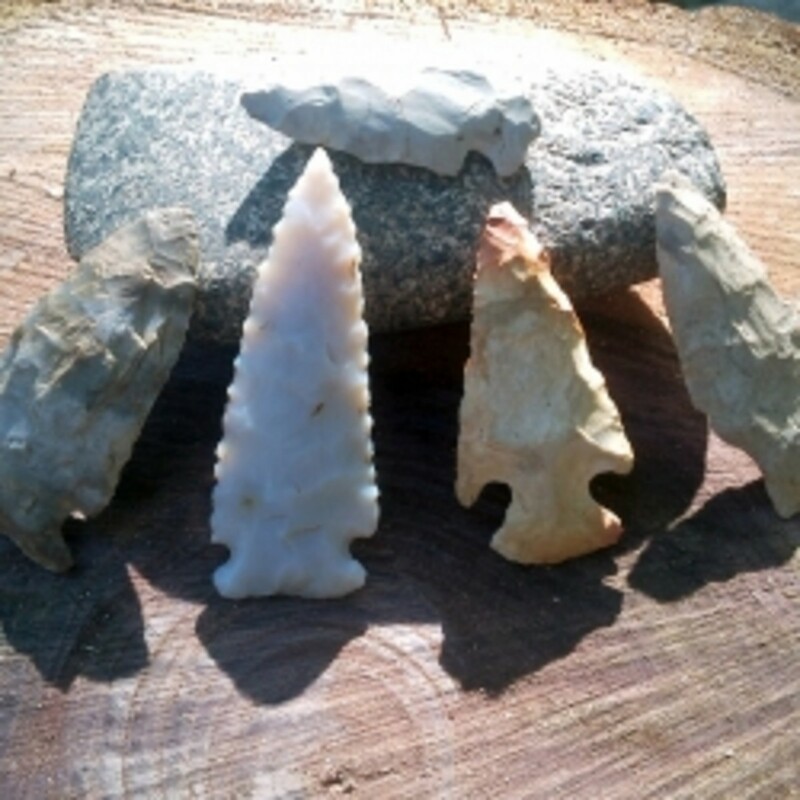 Uschuya recanted his claim that he had found them and instead admitted that they were hoaxes, saying “Making these stones is easier than farming the land.” He was not punished, and continued to sell similar stones to tourists as trinkets. 1. If human beings co-existed with dinosaurs then why there is no such similar paintings & statues available in other archeological findings (Especially in other parts of the world)? 2. The pictures depicted advanced medical procedures like brain transplant & heart surgeries promoting the idea that our ancestors came into touch with highly intelligent aliens & learned about those procedures from them. If this is true, then should not be they writing in metal plates or papers rather than stones? 3. Uschuya’s sample Ica stone (produced by using a dentist’s drill) was impossible to distinguish from Cabrera’s Ica stones! Concluding that the entire story could be a hoax. A Klerksdorp sphere. It is 3 to 4 centimeters in maximum diameter and 2.5 centimeters in thickness. 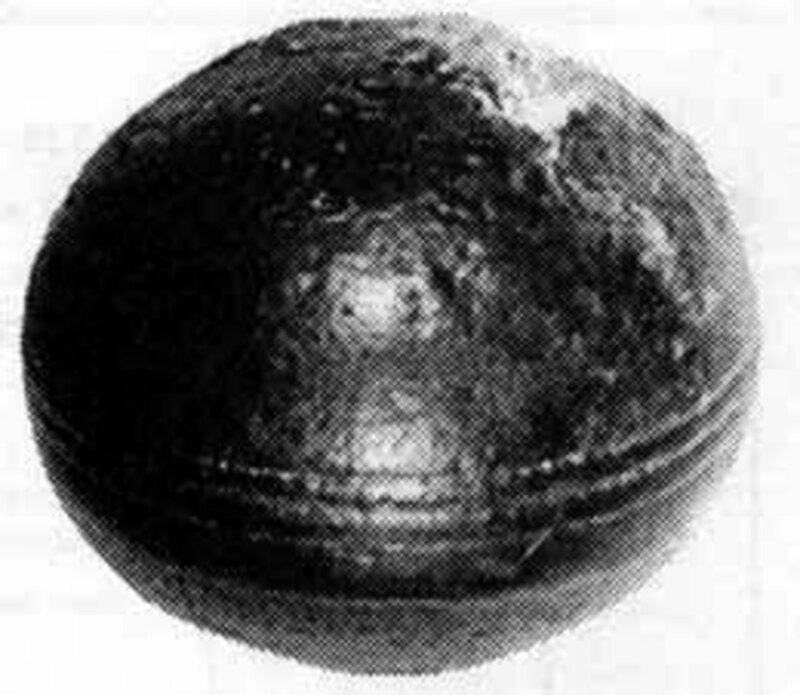 The Grooved Spheres aka the Klerksdorp spheres were found over the last few decades, by miners in South Africa. These spheres measure approximately 3 to 4 centimeters in maximum diameter, 2.5 centimeters in thickness and said to be made of metal! Some are etched with three parallel grooves running around the equator. Two types of spheres have been found: one is composed of a solid bluish metal with flecks of white; the other is hollowed out and filled with a spongy white substance. The kicker is that the rock in which they were found is a Precambrian pyrophyllite deposit and dated to be 2.8 billion years old! They have been cited by alternative researchers and reporters in books, popular articles, and many web pages, as inexplicable out of place artifacts that could only have been manufactured by intelligent beings (i.e. Ancient astronauts). Some sources say that NASA has found these objects either in perfectly balance, unnatural or totally puzzling. While other sources claim that these spheres, sometimes rotate itself, proving that it is different than any conventional spheres. However, Geologists who have studied these objects argue that the objects are not manufactured, but are rather the result of natural processes! Through X-Ray diffraction analyses of specimens of these objects specialists found that they consist either of hematite or wollastonite, mixed with minor amounts of hematite and goethite. The color of the specimens ranged from dark reddish brown, red, to dusky red. All of the specimens of these objects, which were cut open, exhibited an extremely well-defined radial structure terminating on either the center or centers of a Klerksdorp sphere. Some of these objects exhibit well-defined and parallel latitudinal grooves or ridges. 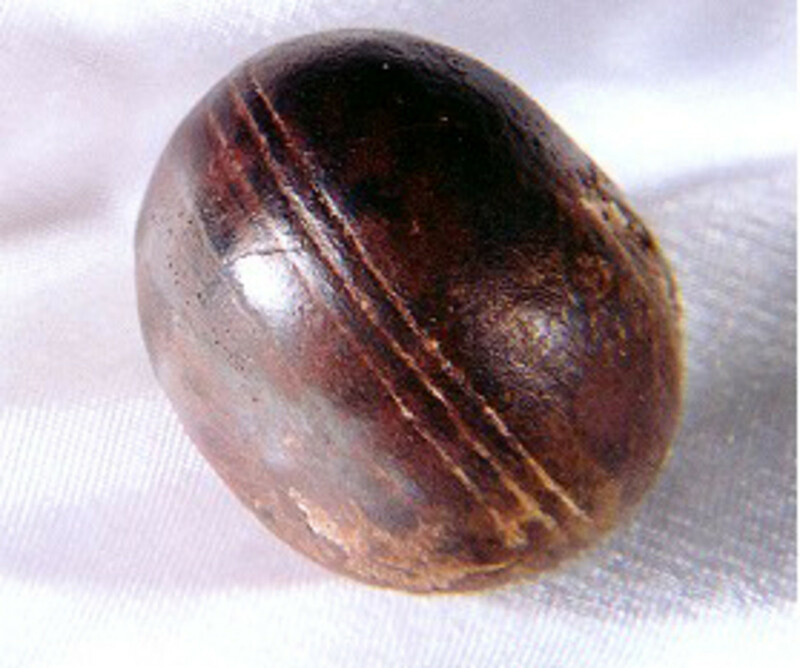 Even specimens consisting of intergrown flattened spheres exhibit such grooves. Pictures of similar calcareous concretions, which exhibit equatorial grooves, found within Schoharie County, New York. Geologists agree that the Klerksdorp spheres originated as concretions, which formed in volcanic sediments, ash, or both, after they accumulated 3.0 billion years ago. Geologists argue that the grooves exhibited by these concretions are natural in origin. They proposed that the grooves represent fine-grained laminations within which the concretions grew. The growth of the concretions within the plane of the finer-grained laminations was inhibited because of the lesser permeability and porosity of finer-grained sediments relative to the surrounding sediments. Faint internal lamina, which corresponds to exterior groove, can be seen in cut specimens. A similar process in coarser-grained sediments created the latitudinal ridges and grooves exhibited by innumerable iron oxide concretions found within the Navajo Sandstone of southern Utah called "Moqui Marbles". Latitudinal grooves are also found on carbonate concretions found in Schoharie County, New York. 1. The claims that these objects consist of metal, i.e. "...a nickel-steel alloy which does not occur naturally..." are definitely false as discovered by most experts (i.e. Cairncross, Heinrich). The fact that many of the web pages make this claim also incorrectly identify the pyrophyllite quarries, from which these objects came, as the "Wonderstone Silver Mine" is evidence that these authors have not bothered to verify the validity of, in this case, misinformation taken from other sources since these quarries are neither known as silver mines nor has silver ever been mined in them in the decades in which they have been in operation. 2. 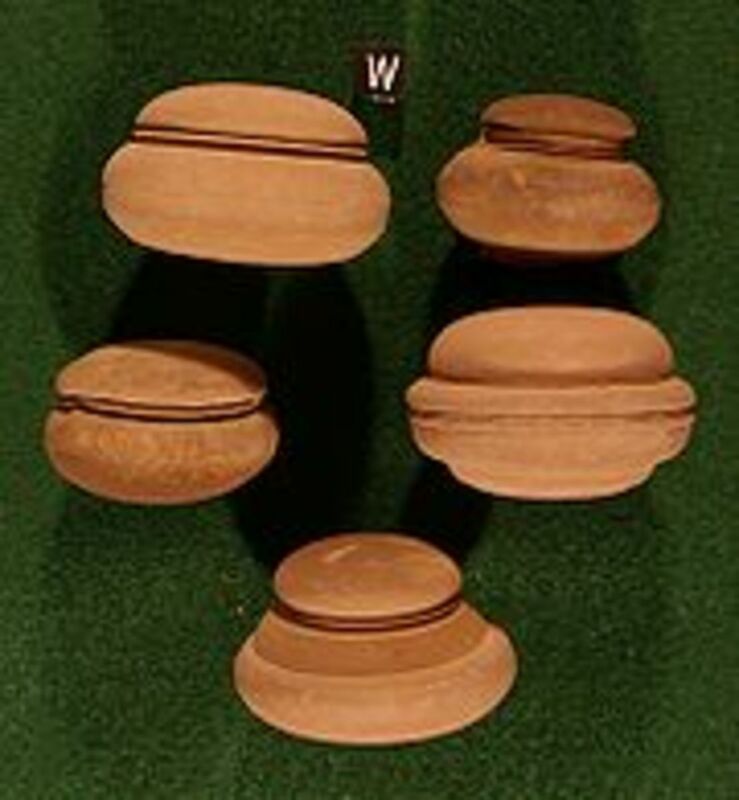 The various claims that these objects are either "perfectly round" or perfect spheres are now known to be incorrect as directly observed by many experts. 3. These specimens vary widely in shape, from noticeably flattened spheres to distinct disks. 4. Some of the Klerksdorp spheres are intergrown with each other, like a mass of soap bubbles revealing its natural origin. The observations and figure refute claims that these objects are either always spherical or isolated in their occurrence. 5. Inquiries of scientists, who studied these objects, have found that the claims that NASA found these objects to be either perfectly balanced, unnatural, or puzzling are completely unsubstantiated. 6. Along with the internet, two trivial magazines once claimed that these objects are ‘out of place artifact’. However, most of these sources are not regarded as credible and the ‘out of place artifact’ claims are regarded as hoaxes by most scholars as there is not a single scientific research or document that proves these spheres are unnatural, merely perfect & self rotational. Did an alien spaceship crash landed in ancient china, near Tibet , thousands of years ago? According to the proponents of Dropa stone: YES! Almost 13000 years ago an alien spaceship crashed in a no-man’s-land near Tibet. 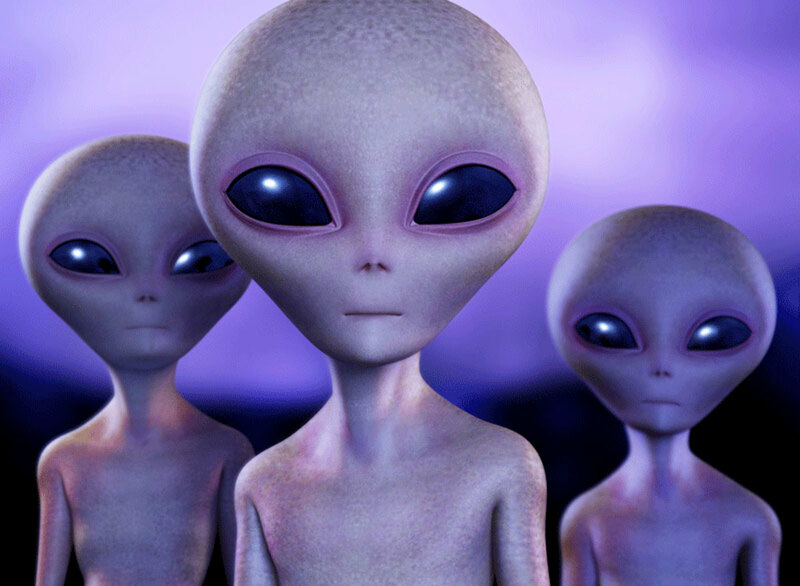 The aliens who are termed as The Dropas, managed to survive the crash. But being unable to repair their disabled craft, they had started their living on this planet & learned from the Han tribe (a native tribe near Tibet) how to survive in a planet like earth. Many advocates of the Dropa stones take this concept one step further by stating that they had interbred with human natives & the result was the Dropa tribes of Tibetan mountain regions. They claim that the two tribes of that region: the Dropa and the Han are both unknown races on Earth & they are of neither Chinese nor Tibetan descent. In 1938, an archeological expedition led by Dr. Chi Pu Tei into the Baian-Kara-UlaMountains of China made this discovery in some caves that had apparently been occupied by some ancient culture. Buried in the dust of ages on the cave floor were hundreds of stone disks. Measuring about nine inches in diameter each had a circle cut into the center and was etched with a spiral groove, making it look like some ancient phonograph record. Each of these disks was considered to be at least 10,000 to 12,000 years old. The spiral groove, it turns out, is actually composed of tiny hieroglyphics that told the incredible story of spaceships from some distant world that crash-landed in the mountains. The ships were piloted by people who called themselves the Dropa, and the remains of whose descendents, possibly, were found in the cave. "The Dropa came down from the clouds in their aircraft. Our men, women, and children hid in the caves ten times before sunrise. When at last they understood the sign language of the Dropa, they realized that the newcomers had peaceful intentions...."
Thousands of articles featuring this fascinating story about Dropa Stones are flooding through the internet, crafting a lot of confusion in the readers’ minds. However, the fact is the story of ‘Dropa stones’ is the most groundless claim ever made in Xenoarcheology. Even some Ufologists have stepped back in this case because of the phony character of the story! Now, Lets take a look, why? Early Sources: The earliest mention of the story is in Erich von Däniken's infamous 1968 book, Chariots of the Gods. The book has been widely criticized as unreliable; in fact, the vast majority of names and sources appearing in the book cannot be corroborated, and no existence of the following Soviet or Chinese scholars can be found anywhere outside this story: Chu Pu Tei, Tsum Um Nui & Sergei Lolladoff. Most tellingly, Däniken gives his main source for the story as a Soviet science fiction writer Alexander Kazantsev; however Kazantsev himself disagrees with Däniken's account and says that it was Däniken who told him the story, not the other way around. "Tsum Um Nui" is not a real Chinese name, and critics suggest that Dr. Tsum may not have actually existed. However Tsum Um Nui is claimed to be a Japanese name adapted to Chinese language. There is no evidence of his existence beyond the Dropa allegations. Where are those disks? All that exists of the supposed alien disks are several wide-angle photographs. 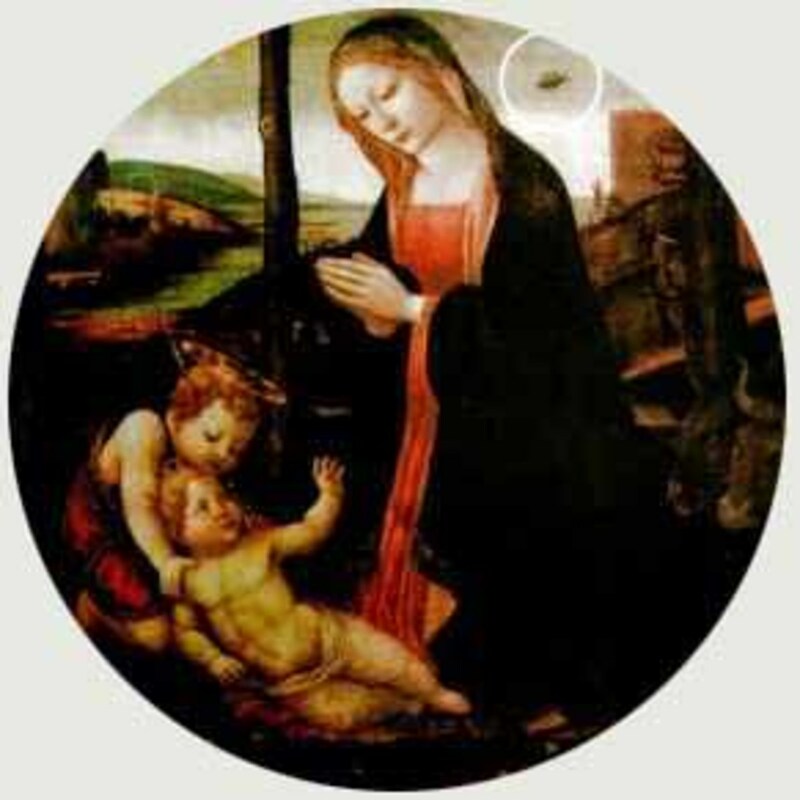 The disks photographed, firstly, do not match the described "12-inch disks"; the disks photographed are very large. Secondly, absolutely no photos, descriptions, analyses or any other evidence of the actual 'alien script' appear anywhere at all. The discovery: There is no mention of the 1938 archaeological expedition to the Bayan Kara Ula range. No "PekingAcademy of Pre-History" ever existed! Translation: All lost ancient languages have been rediscovered only because they survived in forms familiar to scientists. Even in such cases, deciphering and understanding these older language forms and their scripts has usually taken decades for multiple teams of highly competent linguists, and their findings are constantly being debated and updated. Many ancient scripts (notably Linear A from the island of Crete and Rongorongo from Easter Island), have defied deciphering precisely because they cannot be linked to any known language. Given these facts, there would be even greater difficulties in translating a truly extraterrestrial language. It is therefore highly unlikely that a single Chinese scholar with no reported background in linguistics could single-handedly decipher an alien script or language in his spare time!! 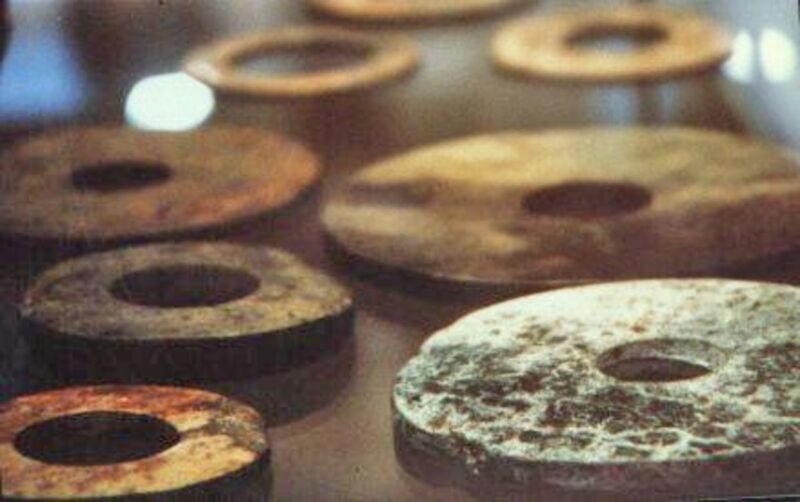 The Evidence: The disks were supposed to be stored in several museums in China. None of these museums have any traces of these disks, nor can any be found of the ones supposedly sent to USSR for analysis. The Dropa Tribe: While reported to be a tribe of feeble dwarfs, in reality the Dropas are nomadic herders who tend to be rather large and sturdy, befitting their occupation as herders. Because of all these suspicions, opponents of the Dropa story claim it is long proven to be a forgery by Erich von Daniken and nothing else! This is another fascinating OOParts which is seen in many UFO & paranormal based websites. 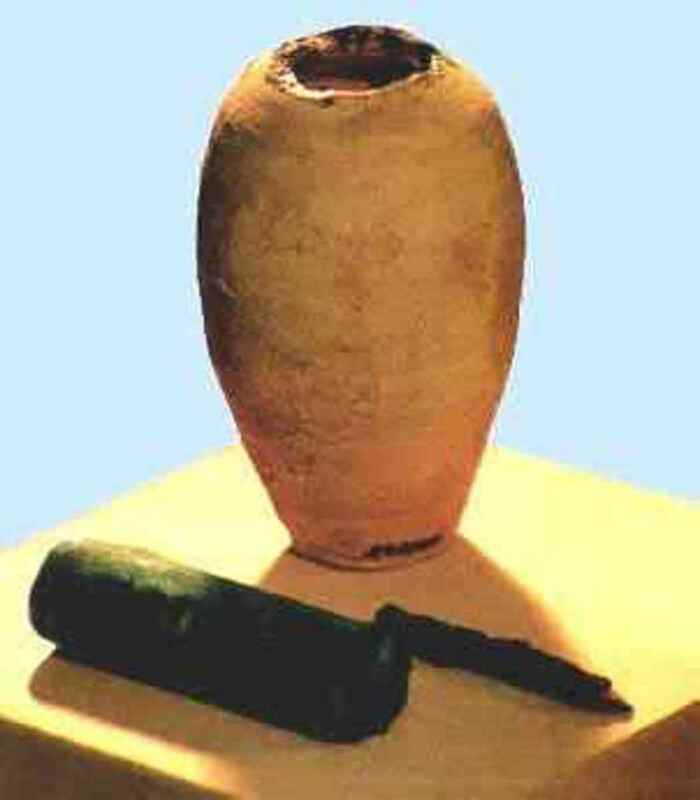 The Baghdad Battery (Also known as The Parthian Battery) common name for a number of artifacts created in Mesopotamia, possibly during the Parthian or Sassanid period (the early centuries AD). These artifacts consist of terracotta jars approximately 5-1/2-inch high clay vessel inside of which were copper cylinders held in place by asphalt, and inside of that were oxidized iron rods that resembles galvanic cells possibly capable of generating between 4 and 5 volts of power. Experts who examined these artifacts concluded that the device needed only to be filled with an acid or alkaline liquid to produce an electric charge! The Baghdad Batteries remained hidden from public knowledge until 1938, when Wilhelm Konig an archaeologist who was also the German Director of the National Museum of Iraq, came across the artifacts within the museums collection. 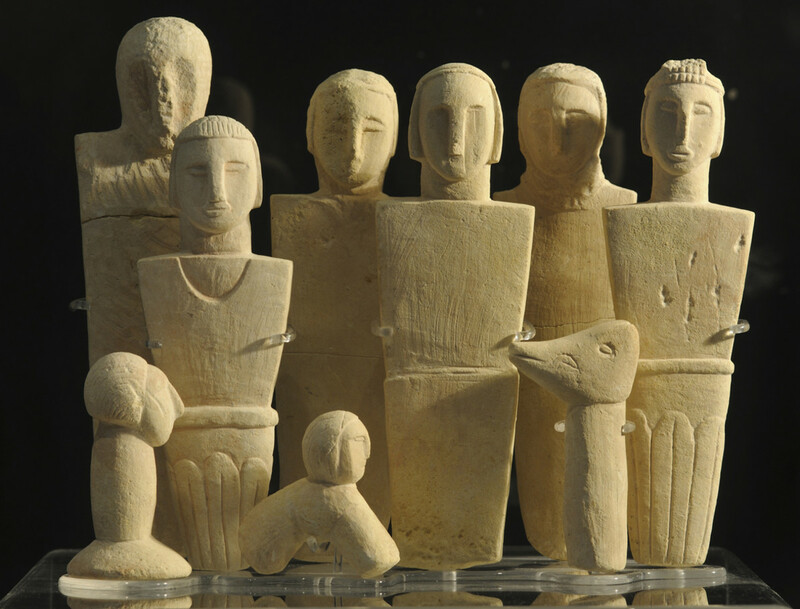 Wilhelm Konig later returned to Germany, Berlin due to illness but continued to work on these artifacts. 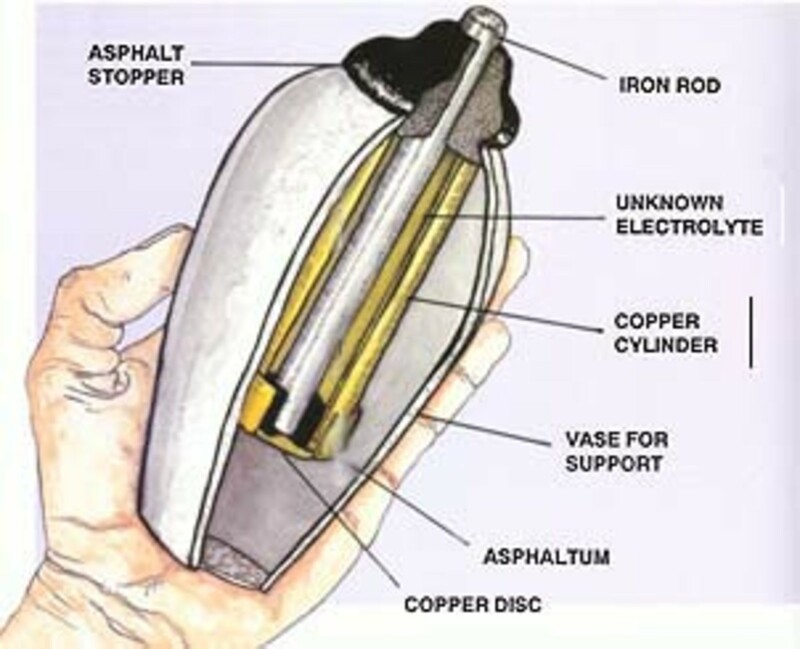 According to Wilhelm Konig, the 'Baghdad Battery' was used for electroplating Gold onto Silver objects. Although this can not be entirely proven archaeologists from around the world who have since studied the relics come to relatively the same conclusion, being the relic is a primitive battery in 1940, König published a paper speculating that they may have been galvanic cells, perhaps used for electroplating gold onto silver objects. This interpretation continues to be considered as at least a hypothetical possibility. If correct, the artifacts would predate Alessandro Volta's 1800 invention of the electrochemical cell by more than a millennium. König thought the objects might date to the Parthian period (between 250 BC and AD 224). However, according to Dr St John Simpson of the Near Eastern department of the BritishMuseum, their original excavation and context were not well recorded, so evidence for this date range is very weak. Furthermore, the style of the pottery is considered as Sassanid (224-640). The top of the jar consisted of a 1.5 inch opening sealed with a plug made of asphalt. Beneath the plug is a vertical curled sheet of copper housing an iron rod. This iron rod pierces the plug poking out the top of the jar. Within the jar the iron rod is surrounded by the curved copper sheet which is not entirely closed over. Pouring an acidic substance such as Vinegar, Fermented Grape Juice or Lemon juice into the Jar will cause a chemical reaction between the cooper sheet and the iron rod when they are connected producing small amounts of power. Further experimentations have found that when connecting several replicas Jar's together the power generated was sufficient to use in electroplating Gold onto Silver. Yet this energy would still only last for a short period of time. 4. A bitumen seal, being thermoplastic, is excellent for forming a hermetic seal for long term storage. It would be extremely inconvenient however for a galvanic cell, which would require frequent topping up of the electrolyte (if they were intended for extended use). The artifacts strongly resemble another type of object with a known purpose—namely, storage vessels for sacred scrolls from nearby Seleucia on the Tigris. Those vessels do not have the outermost clay jar, but are otherwise almost identical. Since it is claimed these vessels were exposed to the elements, it would not be at all surprising if any papyrus or parchment inside had completely rotted away, perhaps leaving a trace of slightly acidic organic residue. No matter whatever the skeptics say, in this occasion even I am not totally convinced with their argument. These artifacts indeed are intriguing and might have worked as electric generators. However, the people who have made these batteries (assuming they were galvanic cells) may not have fully understood the principles. For example, it is well known that the Ancient Greeks were aware of electrostatic electrical phenomena produced by amber, but they regarded it as a mere curiosity or toy and developed no electrical theory or functional devices. For evidence of ancient Parthian knowledge of the ideas of electricity, records of its use await discovery in more concrete terms, such as seeing it discussed in their writings (though they may not have stated it as 'electricity', relating instead a mystical connotation) or gaining a better perception that their "batteries" were designed with a knowledge of electrical theory. A controversy also exists as to whether the Ancient Egyptians could have used such devices. There are many people who believe that this artifact is the evidence of the existence of a highly advanced civilization like Atlantis in the past. 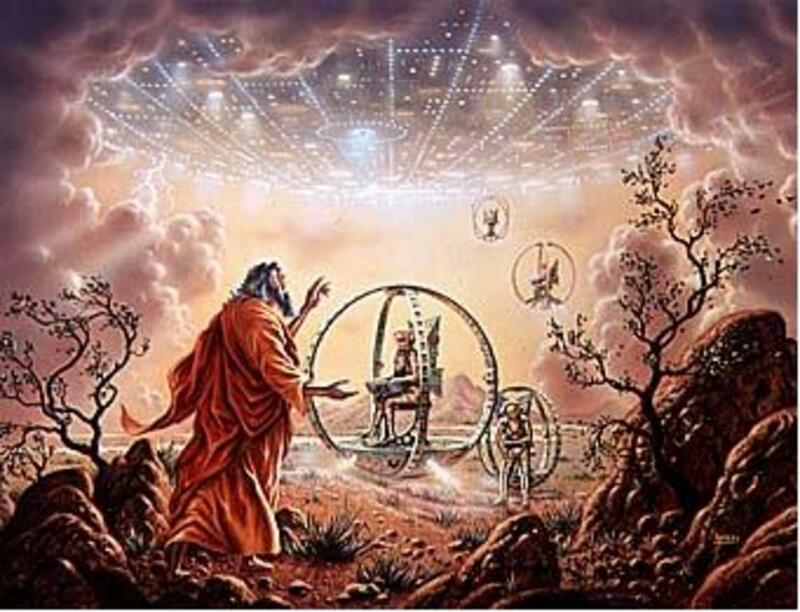 Some claim that, this is a proof of alien visits in the past, from whom the Mesopotamians or the Egyptians might have learned about this technology. Although sufficient research has not been done on these so-called Baghdad Batteries, still we can surely conclude that these objects, as electrical generators, would be inefficient when compared to modern devices. Therefore we can conclude that nor was the Atlantis, even if existed, as advanced as we are today! Neither the Aliens from other planets could traveled so far with these battery technology! It's good to be skeptic. It's not good to be over-skeptic, as we land on the other side of the truth very often. There should be no conceptual denial of things that are strange, for the mere fact, they are strange. For example, there should be no tendency to deny ancient wisdom, for the sake of denial. The truth might the slip away without noticing it. I could care less who believe's what. These are bizarre finding's that encourage us to seek answer's, an endeavour that I applaud.Stimulate intellect...good yup.The poll feature shows that our input is appreciated.It does a person good to be in the majority when the vote is revealed.Kudo's. I'll be bok. I think you really need to understand what comprises Hindu Literature. Research on it, they can be "merely early works of science fiction" but it is much more deeper than that. The underlying philosophy of the Vedas (which translates "to know" by the way) is that The Gods prefer the cryptic and dislike the obvious. So you have to understand a "war" described in Hindu Literature is not just people fighting people with weapons, there are deep spiritual teachings and although the Vedas are deemed to be 1500 years old according to Western Scholars... it is much older than that. There is a difference between Spiritual and Material Science and we are currently obsessed with material science. I would give you examples but I don't know where to start. You cannot dismiss the Hindu Science if you dont get it. it is however likely (and more so without any sufficient evidence to back your claims) that these ancient Hindu scriptures were merely early works of science fiction. i mean imagine some future civilization was to find H.G. Wells the Time Machine; are they to assume we could time travel? but i have a query to anyone that can answer this question; it is regarding the the storage vessels for sacred scrolls from nearby Seleucia on the Tigris that was mentioned in the "Baghdad Battery" section. were these vessels made of the same materials as found in the "Baghdad Battery"? ie. iron rod encompassed by a copper cylinder? i have tried web searching it but have found nothing. i assume they were as it is stated that they are virtually identically with the outer jar being the main difference however i would like explicit confirmation of this. This is very stimulating . in fact we are undermining the the theory of a pre civilization preceding the present one. In hundu scriptures which are very old spoke repeatedly of viman corresponding to modern aircraft . There accurate descriptions of scenes seen from aeril flight. The topography described cannot be otherwise than from great altitudes. and human sights must had been enhanced by some technical aid .there are references to war machines which cannot be entirely out of imagination . It is possible that in a natural or man made holocoust the former civilization was completely destroyed along with all remnants excepting those which survived much below the earth`s crust and new civilization again grew afesh . The memories survived which produced the recollections later.There are references to such mass extinction/destruction in almost all religious texts and concepts which we may call the social sub concious. Many years ago I spoke with a professor at the Claremont School of Theology in Claremont CA. One of the professors indicated we really don't know the full extent and or depth of this world. I wouldn't say there's much to sciences as any sort of divining rod to divinity. It may be that science has been around a long time. The question should be whether man has the ability to use this talent and synthesize a balanced meaning of a world view. We still "got" hill billie bubba's running around with advanced weaponry, killing harmless wild animals. That's pretty messed up. If machines are so important and a litmus for calibrating our significance in relation to what? then what is this finding all about. Who really cares. ... are we any different in our perceptions of lets say: 5 thousand years ago? not really, we just 'got' a bunch of new toys and broader arrogance. Most of these items are hoaxes or misunderstandings...however, in regards to the klerksdorp spheres being natural...this I have to laugh at. Explain again to me how a spongy substance is at the core of these spheres...naturally. I'm not doubting that heat from volcanic activity could have caused some of them to fuse together...but they weren't formed by volcanic activity/sediment etc...get real. This might be the coolest comment someone made on my hub :) ...You are truly awesome! Thanks for dropping by. I saw the intriguing picture and thought okay, looks interesting. I get the metaphor...and then I saw the hubs and died!!! Cool! Fascinating information and quite detailed. Excellent work. Detractors don't have a leg to stand on. I decided to limit my topic only to most debatable and controversial artifacts. It is my deliberate attempt to skip topics like Big foot, crystal skull & star child which are mostly groundless subjects. Short comments,some are clearly intimidated by your intellect.I read one of your posts in the forums and asked your opinion.I hope you reply and I am not disappointed. Artifacts are always debatable so that does not interest me.I am curious as to what your opinion is about the feats of technology used buy the ancients in building monuments and structures consisting of stones so heavy that we cannot duplicate them to day with our technology? I appreciate the considerable effort you put into this Hub.